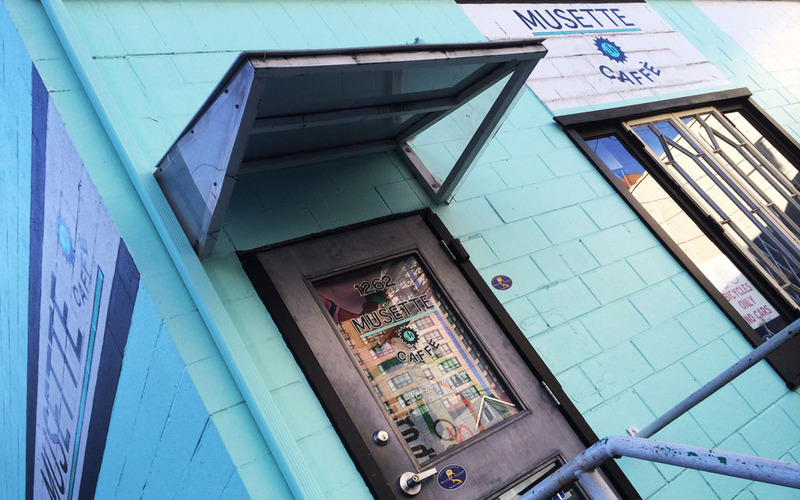 Musette Caffè is an absolute hidden gem in Vancouver’s downtown. So hidden in fact, that it took Nick and I two trips to actually find it. Although it can be a little tricky to locate, as it’s tucked away on a back alley with no front facing entry, Musette Caffè is a truly unique coffee house, serving a range of carefully crafted coffees and a selection of light snacks. 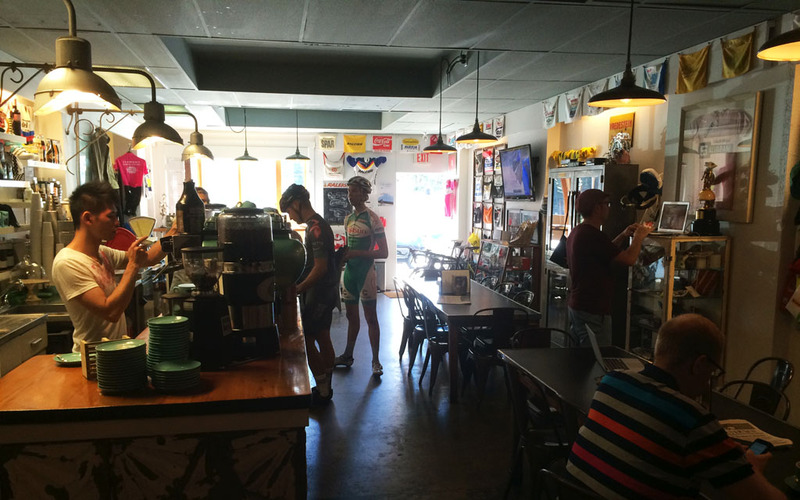 Despite its somewhat concealed entrance, Musette Caffè is a welcoming and bike friendly spot. Indeed, the café not only welcomes but encourages passing cyclists to drop in for a coffee and a quick bite to eat, making it quite the local hangout for cycling enthusiasts. So much so in fact that throughout the day a stack of bikes can be seen parked in the racks both inside (yes, that’s inside) and out. While you don’t have to be a part of the cycling community to enjoy the cafè’s exceptional coffee, you perhaps do to truly appreciate the café’s overall theme. 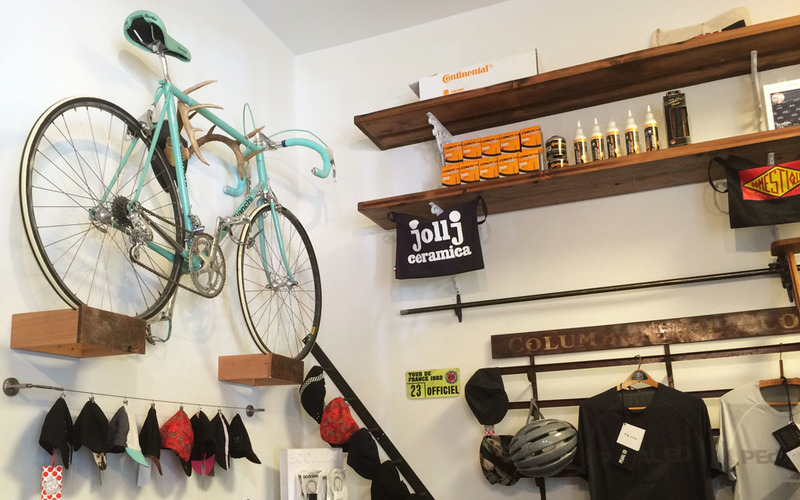 It’s not only the café’s name (Musette refers to the small canvas bag cyclists use for carrying food and drink while riding), that pays homage to this popular two-wheeled activity but also the café’s decor. Hung along the walls are a series of racing jerseys and musettes (of course), while a plethora of bike memorabilia is neatly showcased in glass cabinets. There’s even a small bike shop attached, which sells an array of cycling products. The café’s passion however, is not “all about the bike” but also the perfect espresso. 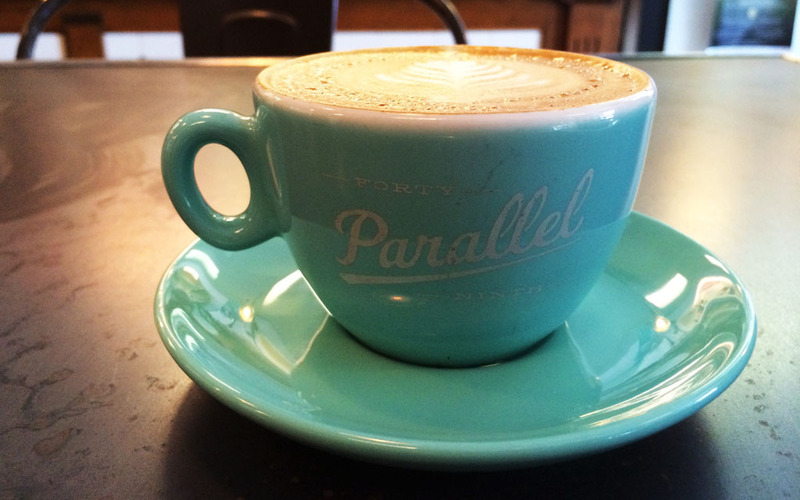 Using coffee beans from Vancouver’s own 49th Parallel roasting company, skilled baristas consistently pour a fantastic cup of coffee. Actually, Musette Caffè is one of the best coffee houses Nick and I have come across in the city. Along with their well-made coffees, Musette Caffè also offers patrons an assortment of baked goods, pastries and a selection of gluten-free treats. If you’re in the mood for something sweet, the chocolate chip cookie sandwich with its butter cream filling is must. 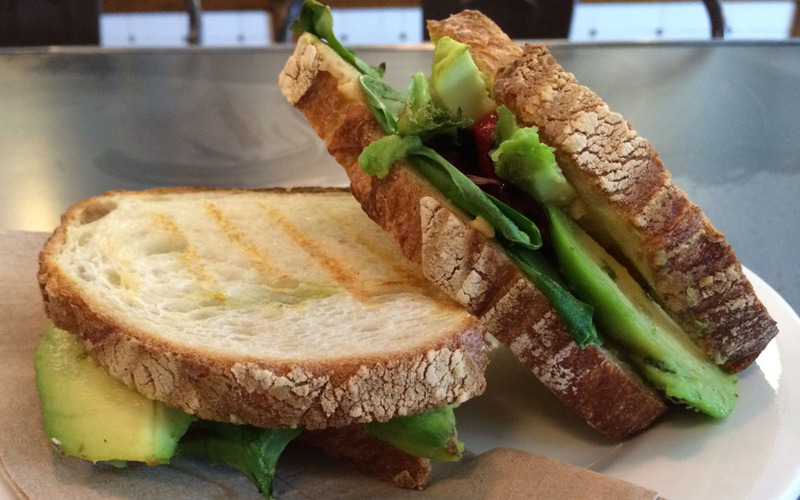 Or if you’re after something a little heartier and healthier, there is also a variety of traditional Italian panini to choose from. The Musette team have certainly created a funky and inviting spot for both cyclists and non-riding folk to enjoy. There’s even an adorable seating area for small children and a Foosball table. With such a delightful character, quality drinks and small eats, Musette Caffè is the perfect meeting place and spot to stop if you’re passing by on either bike or foot.